Sharon Farmer, White House director of photography during the Clinton administration.Sharon Farmer knows what it's like not only to witness history but photograph it. As director of White House photography during the Clinton-Gore administration, Sharon captured many of the enduring images of the time: the famous handshake between late Prime Minister Yitzhak Rabin and Yasser Arafat; the First Couple watching the launch of Space Shuttle Discovery with John Glenn; and Nelson Mandela being sworn in as president of South Africa. After the White House, she photographed John Kerry's presidential campaign. Today Farmer works as a freelancer in the Washington, DC area, photographing everything from nonprofits to the WNBA Washington Mystics. Farmer will share her experiences as a White House photographer on our October Free Photo Webinar. 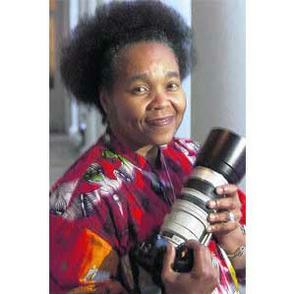 Bring your questions and come ready to learn more about her life photographing history.